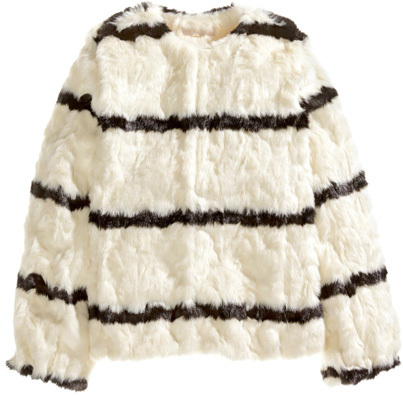 I love my stripes and I love them even more on this faux fur winter-chic jacket. I never would have thought this was H&M. Amazing! I love the whole list! wonder about the quality of the jacket in person though.